My3DWallArts Panels are constructed primarily from plant fibre utilising environment friendly technology for a clean and green product. 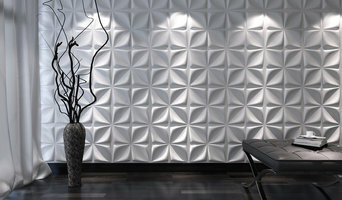 3D panels are high quality, artistic, durable and environment friendly taking interior design to a whole new level. 3D panels can be used to create stand alone feature walls/accent walls or a more subtle and subdued atmosphere of elegance and refinement throughout your home or business. My3DWallArts wall panels can be used for both residential and commercial projects such as retail shops and outlets, hotels, offices, restaurants, exhibitions etc. 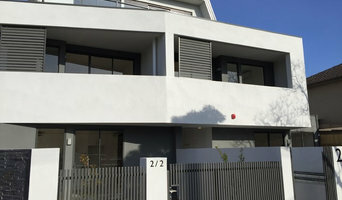 Located in Melbourne, Aquil Painting Melbourne is the one of the most reputed and leading painters in Melbourne. With more than 15 years of experience in the painting industry, a keen eye to detail and the passion for painting, Aquil Painting Melbourne offers the reliable painting services with flawless finish Melbourne wide. With our dedicated team of professional and reliable house painters and commercial painters we are able to provide our clients with the excellent workmanship, fastest turnaround time and competitive rates. We ensure to use only the highest quality of long-lasting paint with low fumes for house painting in Melbourne. Besides interior and exterior house painting, we also look after graffiti removal, salvageable fire damage, water stains, plaster repair work, replacing rotten wood and many more. All our services come with minimum 6 years of warranty. We offer free color consultation service too. We are fully insured painting company and we have public liability which will cover any damage caused to your property or premises by us. To inquire more about our domestic and commercial painting service or for a free price quote, feel free to give us a call on 0428 454 447 or email us. 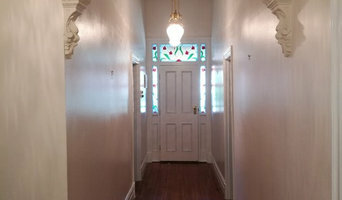 Delivering high quality painting services to the Melbourne area. Nelson Coatings is a locally owned painting and decorating business, servicing Melbourne and the greater area since 2004. Nelson Coatings services residents, builders and contractors with quality painting and decorating services at an affordable price. Nelson Coatings delivers a personalised service, promising commitment and high attention to detail. Re-Energise Painting & Decorating specialise in extremely high quality repaints & new houses in Portsea, Sorrento and Blairgowrie. Our team of painters are locals, We know the area and what to look for when painting your house and know the high quality standards the residents are looking for. We take pride in our work and dedicate our time to giving you the best finish possible. Having team members working in the area for over 35 years we know how to tackle the job right and how to do the job right the first time. We are fully insured, fully qualified and fully local. Feel free to give Mitch Falck a call on 0488285568 for friendly advice or an estimation/quote. Urban Tones Painters & Decorators our name is our reputation. Our business has earned an excellent reputation in the painting and decorating industry for its quality project management, high standard of workmanship, and its ability to complete projects on time. Urban Tones Painters & Decorators offer a very personalized service and close attention to detail, which is an asset when decorating and renovating. 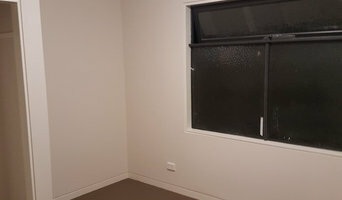 www.skypainting.com.au Sky Painting Pty Ltd is a Melbourne based painting and decorating company ABOUT US Who We Are Sky Painting is based in Derrimut, Melbourne. The company takes on a wide variety of both commercial and residential newly developed or redecoration projects in Melbourne CBD, Inner City Suburbs and the surrounding Metropolitan areas. All our painters are experienced, qualified, fully insured and have completed all necessary Occupational Health & Safety and Elevating Work Platform Association of Australia courses. Our fully insured fleet of commercial vehicles are equipped with latest painting and spraying equipment. We pride ourselves in providing the highest level of service with exceptional attention to detail. We are able to complete quality projects every time on time. Once our work is done, we will always clean up the site, leaving it as it was before. Since the Company was founded in 2006, Sky Painting has steadily built a valued client base, working to these key principles: Competitive Pricing, High Quality of Work and Customer Care. Working to these principles has helped us to achieve regular repeat business and is an aspect that we consider vital to our continued success. What We Do We offer affordable and realistic prices however we are honest and straight talking, we will tell you how it should be done the right way, using the right products. We prefer using only premium products and we take pride in our work, so your project will be completed to the highest standards. Whatever we say we genuinely do it and all our jobs are guaranteed and fully insured. We recognise that having contractors working on your premises can disrupt normal operations and can feel intrusive. At Sky Painting, we take care at the outset to ensure that painting and decorating projects are planned to minimise any operational disruption. So, whether we are working in an office, hotel, school, your home or business premises, you can be assured that disruption will be kept to an absolute minimum. For over a decade, West Melbourne Dustless Blasting is the renowned name in the industry specialising in sandblasting in Melbourne. We have sourced latest equipment from the USA to provide our residential and commercial clients with effective removal of paint, rust, powder coating, anti-foul and other difficult coatings. Utilising different blast media, we ensure the high-quality results for the job at the first time itself. With our dustless blasting system, most onsite work can be carried out with minimal containment. We also offer basic prime and paint to certain jobs. We proud of delivering on-site abrasive blasting and pressure cleaning for a wide range of industries including automotive, marine, construction, aviation and many more. Our Services: •Graffiti removal •Dustless blasting •Mobile sandblasting •Brick cleaning •Soda blasting •Paint stripping Our dustless blasting service is eco-friendly, safe, efficient and affordable. We have our own in-house high-performance sandblasting equipment to clean, repair and preserve every type of metal or building structure. Locations We Serve: Melbourne, Dandenong, Moorabbin and Campbellfield Visit our website or call us to inquire more about our services or for an obligation free price quote. If painting your walls or installing wallpaper aren’t your favourite jobs, it’s very well worth considering hiring a professional for it. Not just for the obvious time-saving, but there’s actually more to a good paint or wallpaper job that you might think! Whether you’re looking to paint your bedroom or living room, you’re always starting from the all-encompassing question of which colour to paint your walls or which wallpaper to choose. The next challenge is selecting the best product for your needs. And don’t even mention the work involved in preparing the wall and applying the paint so it lasts. If you’re looking for a professional house painter or wallpaper installer in Geelong, Victoria you’ve come to the right place. You’re sure to find the best painter for your job in the Houzz professional directory. Here on Houzz, you’ll also find Geelong, Victoria professionals who can create a more creative wall design for your home, including wall murals or custom wallpaper. Murals drawn by an artist will often require a large space, but it’s worth investigating if you’d like a one-off feature wall every visitor will remember. If you’re after advice rather than application, here you’ll also find colour specialists that can help you in your quest for choosing the right paint colours or wallpapers for your abode. Scroll through this page to find painters and wallpaper installers in Geelong, Victoria. You can browse their latest projects, read reviews to see how other homeowners rate their work, and message them directly.